We Lok Seva Group of Institutions are happy to invite you to our 2nd National Conference with the theme Value Education through Indian Culture and Ethos . This 3 day residential programme will be conducted at Sathya Sai Grama Muddenahalli organised by the Sri SathyaSai Lok Seva Trust on May 25,26 and 27. 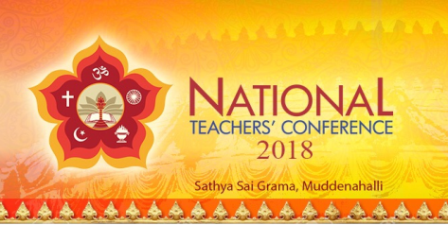 This 3 day residential conference will play host to over 1000 teachers in the serene foothills of Nandihills Karnataka.